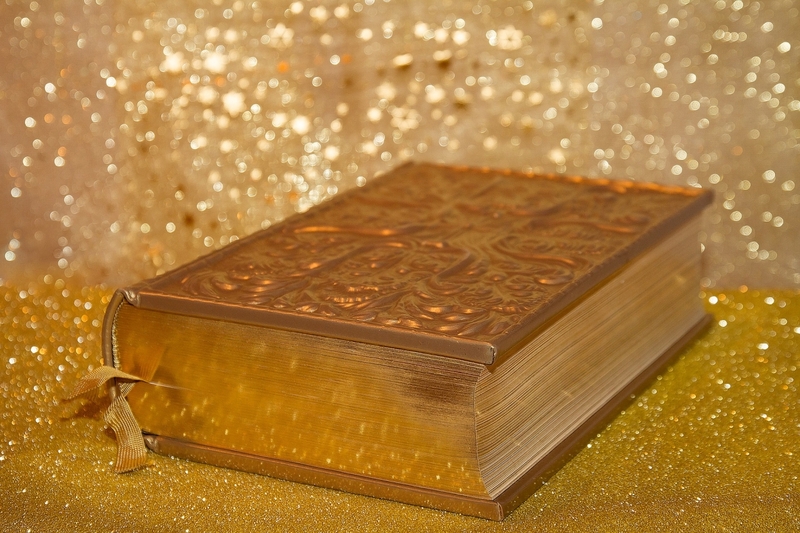 We tell about books covered with golden bindings. "Books were only one type of receptacle where we stored a lot of things we were afraid we might forget." The book is the source of wisdom and virtue, a counselor and a friend. The book fosters and teaches us, accompanies throughout life, revealing the whole palette of the surrounding world to everyone. The book fills the person up spiritually, educates and guides. This is a luxury item that speaks of the status of the owner. A sophisticated refinement is a distinctive feature of medieval handwritten books (codes, manuscripts.) Dozens of craftsmen have worked on these editions: jewelers, enamellists, carvers, minters. Skillfully made gilded covers are decorated with raw ivory, expensive fabrics, diamonds, emeralds, pearls and precious metals, including gold. These unique bindings are priceless works of art. 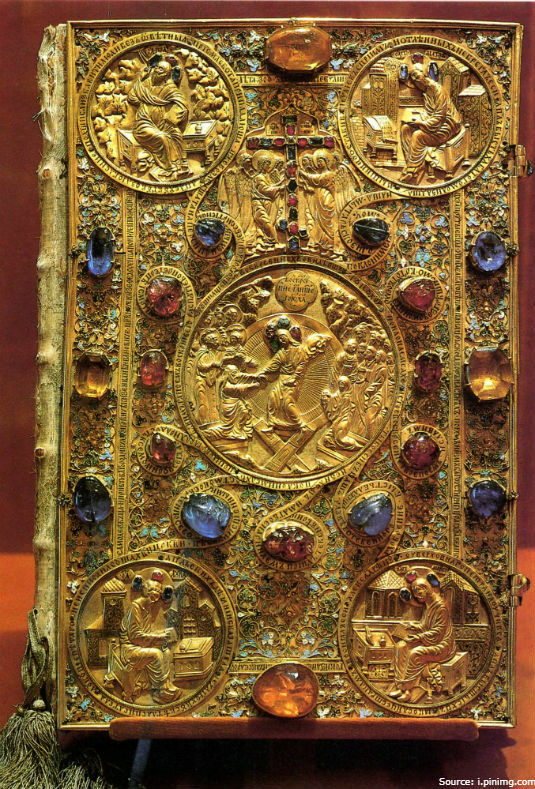 The richly embroidered binding of the 7th century Gospel is the most ancient golden book cover of the Middle Ages. It was made by the order of the Queen of Leuchtenberg of Theodolinde Beauharnais. 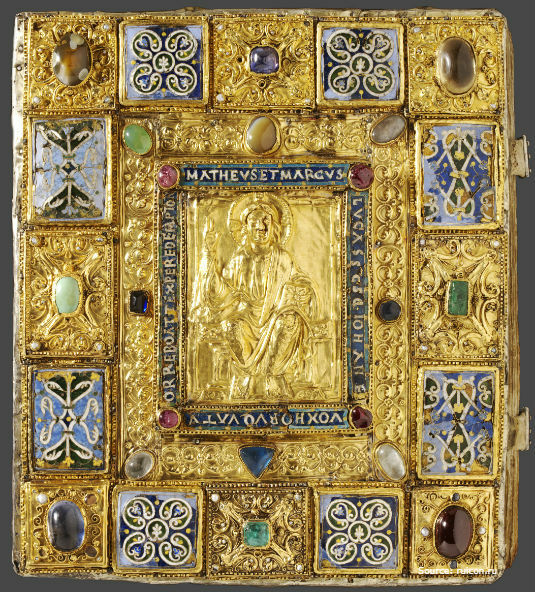 This unique exhibit is framed with gold leaf, decorated with Byzantine enamels and precious stones. 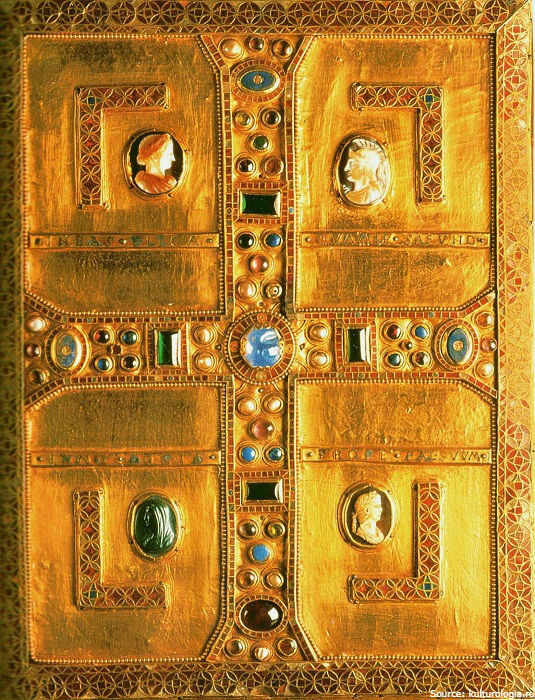 The cover of the handwritten book of the Maestas Domeni is a work of the 12th century art and craft. It is distinguished by the special complexity of the bookbinding technique (cloisonne enamel and engraving.) Craftsmen decorated it with gold and precious stones. The cover was made in the oldest city of Germany - Trier. The exhibit is stored at the Victoria and Albert Museum in London (UK). Gold is the true symbol of wealth, stability and well-being.